Many have been expecting the announcement of new devices from Apple for a bit now, specifically of the iPad variety. Today they got what they've been waiting for. After going down for maintenance this morning, Apple's online store returned with a nice surprise for everyone — a new iPad is here, and an already existing one is getting a boost. Those looking to move toward an iPad Mini will be pleased to hear that it's getting a default storage boost up to 128GB. The two lower storage models are now gone completely, leaving this 128GB model at the $399 level. If you're looking for something new, however, Apple also revealed a new device simply called iPad, which is set to be their new entry-level device. The iPad starts at just $329, which includes their powerful A9 chip and 32GB of storage. The storage here is the main stickler, I think, especially when you're reading it next to the iPad Mini's significantly better 128GB. As an entry level tablet though, it's fair enough I suppose. It's not all iPad news, however. 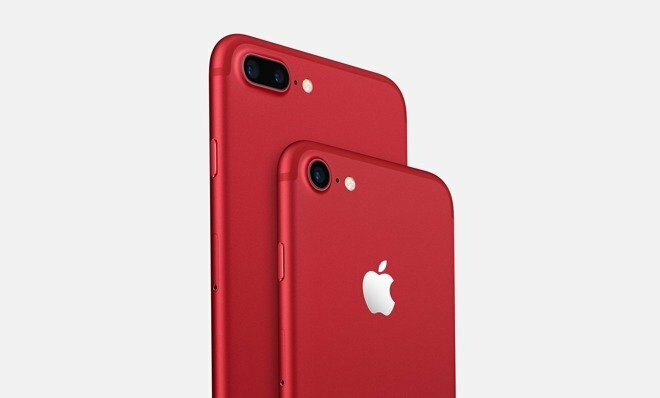 Also announced today was the (Product)Red iPhone 7 and 7 Plus, and yes, that's apparently the official name for this edition, parenthesis and all. This will be available starting Friday, March 24, and prices start at $749 for 128 GB. Not only do you get a pretty snazzy looking phone, some of the proceeds will go to help a charity that helps fight AIDS/HIV and supports those who suffer from it.